SANTA FE, N.M. – Slow and steady, she reels you in. 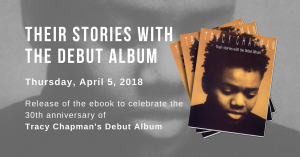 There’s an alchemy to Tracy Chapman’s music, and it’s rooted in her seductive simplicity: basic chords resonating off her Martin Dreadnought guitar; a rich vibrato tenor delivering clear, straightforward, confessional lyrics. It’s the stuff of life – a jilted lover, a battered woman, a woebegone kid, a stranded sailor. “I’m inspired by things I read, I’m inspired by people I meet,” said Chapman during a recent telephone interview with The Associated Press from Austin. At a recent performance at the Paolo Soleri outdoor amphitheater, Chapman’s inspiration rang true with the audience. “Her music really touches my heart,” said Amme Hogan of Albuquerque. “It’s her truth. It’s sincere and spiritual,” added Donna Kangeter, also of Albuquerque. Chapman, dressed in a black shirt and jeans, her dreadlocks tied back in a thick ponytail, delivered a two-hour set of ballads, blues, reggae and her poignant a cappella “Behind The Wall” that brought the capacity crowd of 3,000 to its feet. Her song list offered the crowd a glimpse into the emotional fabric that has inspired much of her songwriting. Chapman – who gained almost instant international recognition and critical acclaim when she performed on the televised “Nelson Mandela’s 70th Birthday Tribute” concert at Wembley Stadium in London in June 1988 – has strong social and moral convictions. [singlepic=680,546,355,center] “We have to think about the political and social systems that we’ve created for our lives and consider whether or not they’re really serving the needs of people,” Chapman said during her interview. Those views were poetically phrased during her performance. Since her 1988 debut, Chapman has continued to draw a strong following. Howard Kramer, curator at the Rock and Roll Hall of Fame and Museum in Cleveland, said people will recognize any art that’s true to itself. “What she does is honest and forthright, and people can see that. She doesn’t let down her audience,” he said. Born March 30, 1964, in Cleveland, Chapman started playing guitar when she was 8 years old. Initially, Chapman taught herself the fundamentals. Chapman studied classical clarinet for about six years, beginning in elementary school. She linked up with an African drum ensemble in 1985 at Tufts University, where she was studying anthropology and African studies. In 1986, she began performing original material at Boston folk clubs. After recording some demos at the Tufts campus radio station, she eventually hooked up with Elektra records. On a trip to London in March 1987, Chapman shared a billing with Natalie Merchant at the Donmar Warehouse in Covent Garden. Throughout 1989, Chapman was in the musical limelight. In January, she won the Favorite New Artist Pop/Rock category at the 16th annual American Music Awards in Los Angeles. In February, she picked up Grammies for Best Pop Vocal Performance, Best Contemporary Folk Recording and Best New Artist. That same month she was voted Best International Artist, Female and Best International Newcomer at the BRIT Awards in London. By the end of November, her second album, “Crossroads,” was certified platinum. After her third album, “Matters Of The Heart,” was released in 1992, Chapman seemed to abruptly disappear from the music scene. “I understand why people have that perception because, if you’re not touring or don’t have a record out, they think you’re not doing anything,” Chapman said. Along with recording and touring, Chapman has had to assume additional – albeit less artistic – responsibilities since embarking on her professional career. “Being a touring musician and a recording artist is like having your own small business,” she said. Chapman’s commitment to her craft remains as strong as it was when she first picked up a guitar. “Music will always be part of my life,” she said. “I don’t know that I’ll always be in the music business, but I’ll certainly always be a musician as long as I can play and sing.